Home / Recreation / Games / Why Don’t Pirates Go to Strip Clubs? There are some trends in gaming that seem to persist while others come and go. We’re on the tail end of the “Zombie” craze with huge titles like Student Bodies, Dead of Winter and Zombicide to just name a few. Aliens had their day a few years ago, but there are still new titles being released all the time. Movie tie-ins are always popular, but tend to have a short shelf life. There is one theme that has stood the test of time – pirates! We have brought quite a few to you over the past months, but thought having them all in one place along with some other choices might be convenient. If you think your kids might like a good swashbuckling, you have a LOT of options! A Catan adventure for fledgling pirates. Explore the Seas Catan: Junior introduces a modified playing style of the classic game giving younger players the opportunity to experience the world of Catan. Designed for players as young as 5 and is a perfect introduction to the Catan series of games for kids and families. Catan: Junior takes place on a ring of islands where 2 to 4 players build hideouts, and the mysterious Spooky Island, where the Ghost Captain lives. Each island generates a specific resource: wood, goats, molasses or swords and players can acquire gold. Each player starts with two pirate hideouts, then builds ships in order to expand their network. The more hideouts you build, the more resources you may receive. You use your resources to build ships, hideouts or get help from Coco the Parrot. Just watch out for the dreaded Ghost Captain. Be the first player to control seven pirate hideouts and you win the game. A variation of war that we brought to you in March. 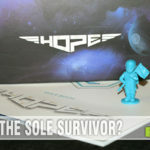 This version from USAopoly has quickly become a travel favorite because of its size and portability. At around $9.00 you can’t beat the price either! Dastardly villains have captured the governor’s daughter and it’s up to you to save her. Employ merchants to trade goods, or use your pirates to sink your enemies and steal their treasures. 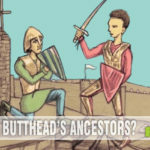 Barter or blast your way to victory! 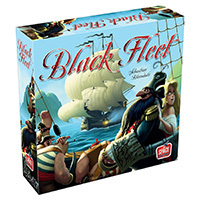 In Black Fleet, players employ their pirates, merchants and occasionally, the Royal Navy to trade for gold and sometimes just take it. Every turn you will play a movement card to determine where and how you can move and what you can do when you get there. Swashbuckle your way across the Caribbean and rescue the governor’s daughter from the Black Fleet. 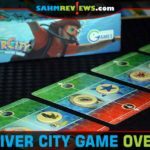 Another SahmReviews feature in June, Plunder from R&R Games is a fun and exciting deduction game where players collect clues to piece together maps, disarm booby-traps, and go digging in search of buried treasure. Having buried and protected your ill-gotten booty, it’s time to send your crew to search for the treasures of the other scurvy pirates! Steal your opponents treasures and be the first to take your Plunder. I’ve only played this one once at our local game store, and although I was thoroughly trounced, I know I’ll do much better next time. 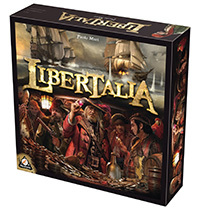 In Libertalia you must outwit the plans of competing pirates over three campaigns while using the same crew cards as your comrades! Will you be able to make the most of the abilities of your characters at the right time, or will you have the loot snatched from under your foot by a wilier pirate than you? Dive in and prove your knack for tactics! The game takes place over three campaigns where players try to amass riches by looting ships. Looting is a dangerous activity, as players need to avoid collecting cursed relics. At the end of the game, the richest player is deemed the winner! There’s nothing cooler than sending an evil pirate to their doom in the form of a sea monster. 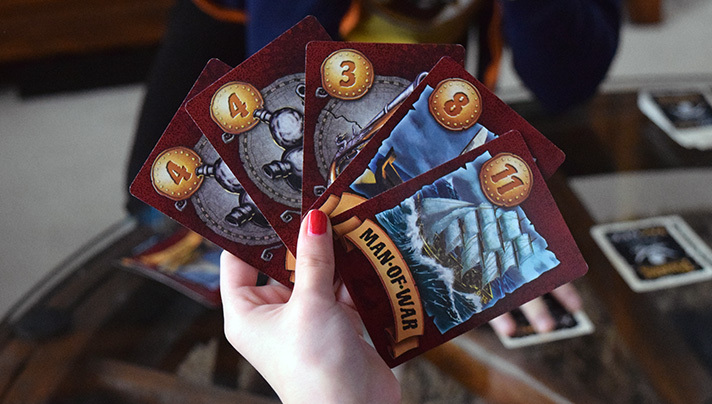 In May we spotlighted Walk the Plank by Mayday Games. 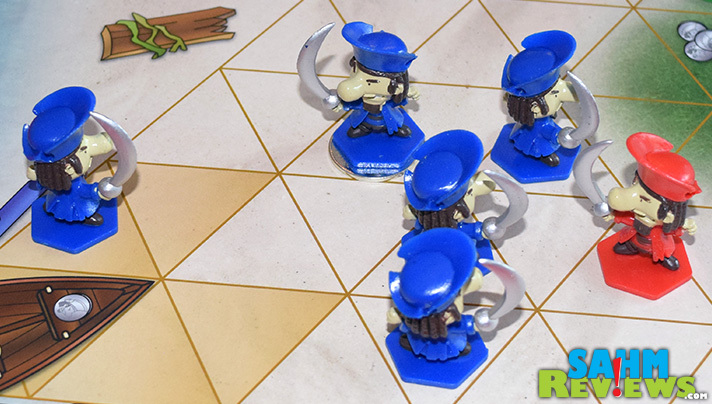 Who can pass up on the cute pirate-shaped meeples and clever mechanics that allow every player to push, pull, shove and more to your opponent’s pirates? Under $16 delivered and you can be swimming with the fishes yourself! Merchants and Marauders lets you live the life of an influential merchant or a dreaded pirate in the Caribbean during the Golden Age of Piracy. Seek your fortune through trade rumor hunting missions and of course plundering. 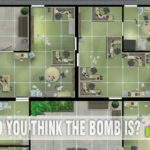 The game features a unique trade system and a thematic combat system allowing for critical decisions and intense excitement. Modify your ship buy impressive vessels load deadly special ammunitions and hire specialist crew members. Will your captain gain eternal glory and immense wealth or find his wet grave under the stormy surface of the Caribbean Sea? Also in June we got to play Pirate vs. Pirate from Out of the Box Games. It was our first game designed optimally for three players and has been a go-to for when mom doesn’t have the time to sit down with us. You each control a team of pirates vying to bring the gold and silver back to your ship while fighting off the other rival pirates. The pre-painted miniatures only add to the experience, and for around $25 you have a quick-to-learn titles for nearly any age! And in keeping with the pirate theme, these are our (pieces of) eight pirate-themed games you should have in your collection. From family-style to serious strategy, if you have a budding buccaneer in your family, you can’t go wrong with any of these titles. Keep an (un)patched eye out for more pirate-themed features on SahmReviews shortly! 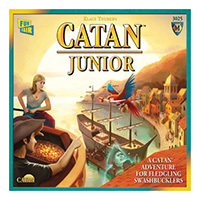 We have Catan Jr. and Black Fleet and they are both amazing games! 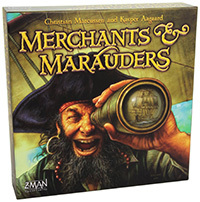 I’ve been trying to decide if we should get Merchants & Marauders as it might be too heavy for the kids. Black Fleet is absolutely amazing! I recommend it to anyone who loves gaming. I love finding new games for my family to play. I’ve never heard of any of these games but I’m pretty sure my kids and husband would love all of them. My son was obsessed with pirates when he was younger. These definitely would have been a huge hit with him! My family would love this game! I love the little figures. They’re so cute with their huge noses. I’ve got to get all of these great board games. I love themed games like this. LOL I love your joke. I think I’d really like to play Black Fleet. That sounds like fun. Really enjoy Oitavos a boardgame where you play with pirates trying to steal some goods. It’s a nice family game. Pirates do stand the test of time. My little ones love them! Thanks for all the games suggestions, we will have to check them out! Who knew there were so many pirate games! I’ve never played any of these but they look fun! That joke…I laughed for a solid 5 minutes. But in all seriousness I need the game Walk the Plant now! The games all look so fun and need to be added to my collection! Thanks so much for the post and new shopping ideas haha. Lots of good ideas for pirate-themed games! These games are also very good for pirate-themed house parties; my sister-in-law loves throwing theme house parties and pirates was one such party. 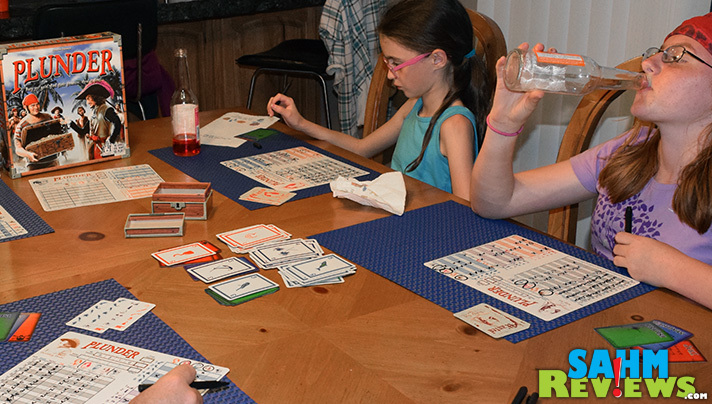 I think board games as a whole, also bring families together — it is nice to NOT see them go out of style! To be perfectly honest I didn’t know we had this much Pirate-themed board games. Everything seems so fun! I will go through the list again and find something I can play with the girls. My family loves board games, we have a weekly get together and enjoy playing three or four different games after dinner. I will have to check these games you are showing us. I’ve never tried to play cool board games like this. I’m sure my siblings would love to try this. Look at all the different kinds of pirate-themed games! I really like the concept of Black Fleet. It seems like it would be a lot of fun. Don’t forget Pirates of the Spanish Main! 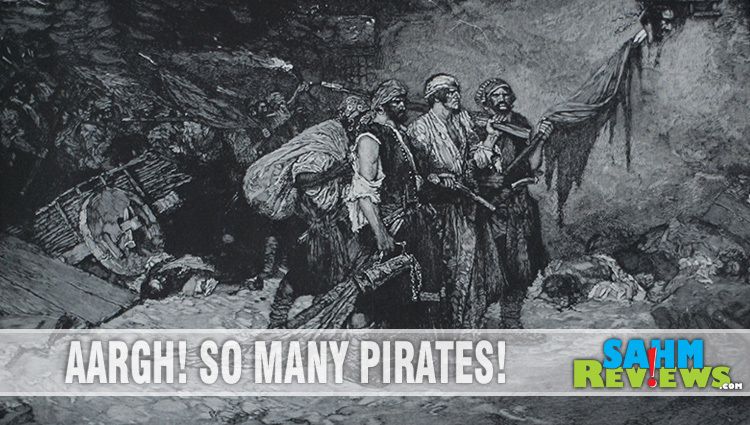 Who doesn’t like Pirates…and you can’t beat the price.